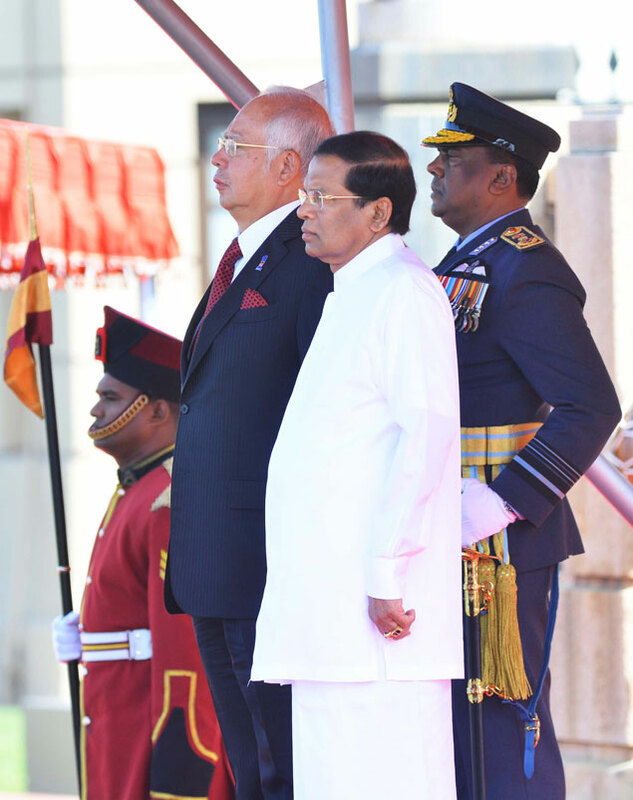 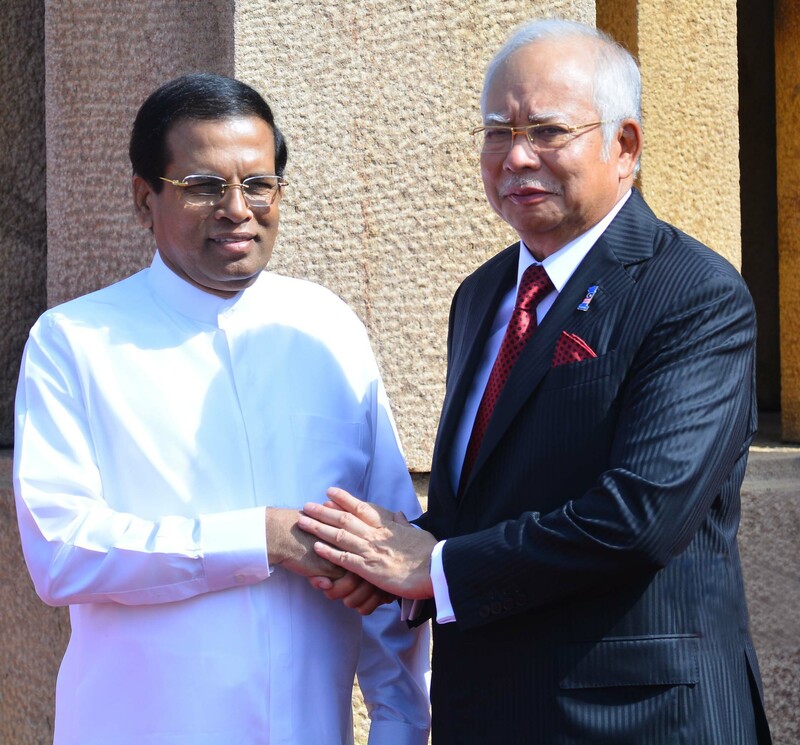 Malaysian Prime Minister Dato’ Sri Mohd Najib bin Tun Abdul Razak met with President Maithripala Sirisena at the Presidential Secretariat, earlier today. 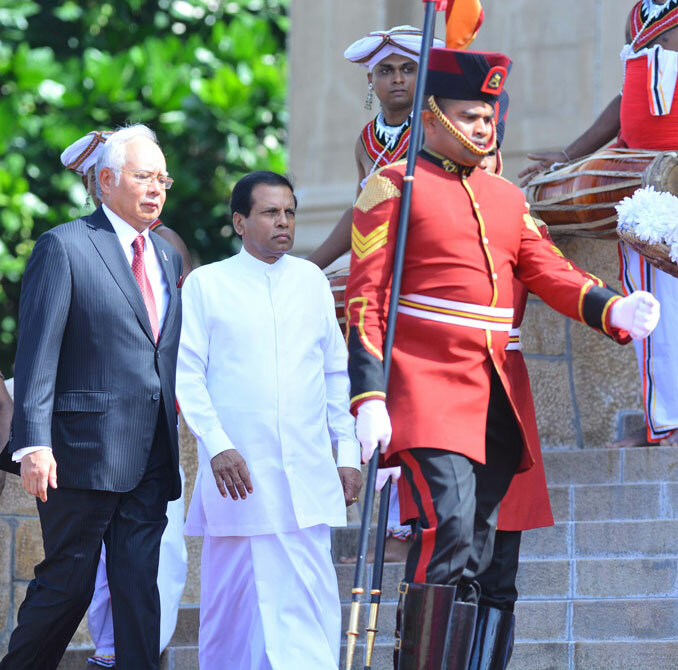 At the meeting, several bilateral discussions were held and agreements relating to Science, Technology and Innovation; Bio-Economy Development Cooperation; and Training for Diplomatic Personnel were signed. 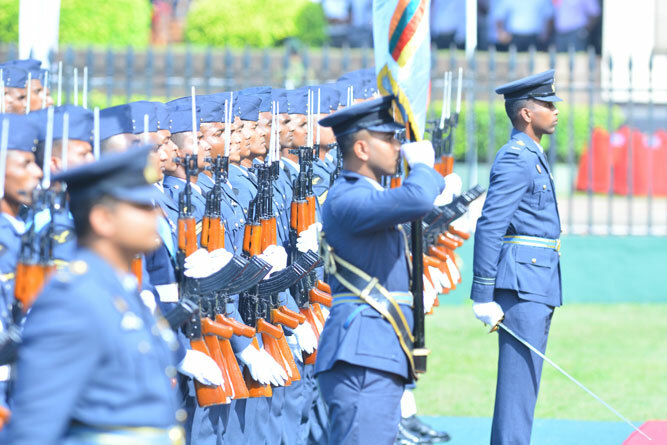 An official Guard of Honor and gun salute was also officiated.